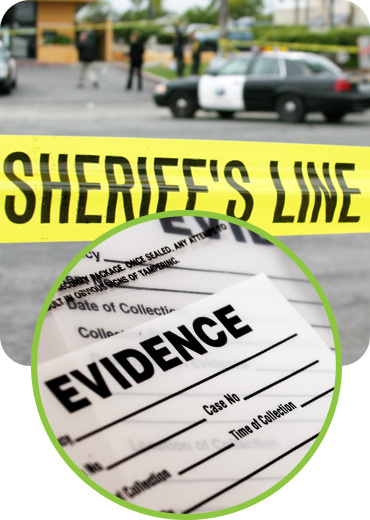 Since 1990, SECUR-PAK has been working in conjunction with major law enforcement agencies to create products for secure crime scenes and prisoner processing. SECUR-PAK Evidence and Security handling system offers both durability and security features that eliminate the risk of tampering and help to establish the necessary chain of custody during the evidence collection process. SECUR-PAK Evidence and Security handling system is comprised of either clear polyethylene films that endure the spectrum of evidence handling. The system’s unique sequential numbering located on the bag’s body and adhesive liner help prevent “bag switching,” effectively establishing an audit trail. To aid the documentation process, our evidence and property bags also include writable areas that allow for identification and reference. Our bags are specifically designed to prevent and identify any and all instances of tampering. Our newest Level 4 tape closure provides the highest level of tamper evidency. Visible VOID messaging and thermochomic ink demonstrates physical tampering as well as use of heat or cold tamper technology. Available exclusively on SECUR-PAK bags, SECUR-TAPE is impervious to all temperature controlling agents. Any attempt to open the bag will leave visible signs instantly and show the word "VOID". The bags’ unique pouch-style seals feature indents on either side of the bag, making it impossible to slit, reopen or reseal. And to prevent bag-switching and theft, the bags feature sequential numbering on both the bag itself and the receipt. XT- INP-1T 9" x 12"
Contact us today to find out how we streamline and secure your evidence and prisoner property systems.